Create a (mostly) Swift framework with optional features. Approaching modularization in a closed source setup. In this article I will show how to modularize your framework features using Swift and Objective-C, while keeping them optional, allowing to compose flexible solution from any subset of them in a closed source setup. These points are sometimes hard to balance, and a lot of times it would require some compromises, usually between usability and "feature richness." I thought this setup solves all the possible cases. Well, most of them, but certainly not all. there is the main SDK framework, which he would ship as a vendor framework via cocoapods. Note: vendors frameworks are a way to distribute closed source frameworks with cocoapods. That means that the code is somewhat "sealed," not revealing the actual implementation to the user. It is very common when your product performs custom processing, and allows to protect the company's IP. public weak var delegate: NumberInspectorDelegate? There is also a 3rd party framework; let's call it AdditionalSDK. It provides API to detect if a given number is prime. Then it notifies its delegate. @objc public var delegate: PrimeNumberCheckerDelegate? We want to alter the behavior of NumberInspector in a way, that if MainSDK user is also using AdditionalSDK, we will perform additional detection, and add information about being prime to detected features. If the other framework was not added though, we expect that our number inspector would still do the job, just without this particular feature. Whenever the user builds his app, SDK gets compiled and canImport(..) would be evaluated, resulting in compiling a slightly different code. To sum it up - canImport was designed for a different purpose and should not be used in this context. Note 1: this setup is very vulnerable to issues with derived data. You need to clean almost every time you add/remove a feature. Because canImport(...) evaluates based on module availability, it can trigger 'false positives' when additional SDK is still in the derived data. Note 2: by "open source" setup I mean situation, when you either ship sources directly, or via cocoapods. And then the SDK sources are compiled together with the target app. Weak linking (Optional) means that you can build against the module, which would not be automatically linked. You will be able to build the target app, regardless of adding or not the optional framework. Its availability is resolved in the runtime, and its symbols would evaluate to nil if it is not there. The final solution would very much look like following. We would declare "Interop" classes, written in Objective-C, to take advantage of its runtime and wrap additional feature frameworks interoperability within. Usage in MainSDK is straightforward. You use interop class as if you would use AdditionalSDK directly. Of course first check its availability, with interop.additionalSDKAvailable() call. The whole idea is to proxy AdditionalSDK features via Objective-C class. Then we can treat it as a truly weak linked framework, and inspect its availability in runtime. Also, it allows you to declare conformance to "optional" protocols (by optional I mean they might be there or not). It is possible to extend and change the behavior of your closed source SDK depending on whether additional frameworks were added. That gives flexibility, both to you and your SDK users, to shape the specific feature set needed. Creating Swift framework with private Objective-C members. 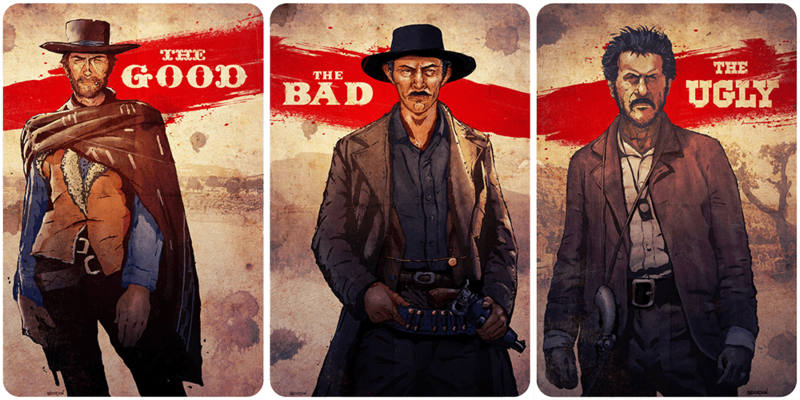 The Good, the Bad, and the Ugly. I was recently working on a closed source Swift framework. Unluckily, some parts of the code were in Objective-C (relying on pure C libraries). In this article, I highlight some of the problems when having frameworks with mixed Swift/ObjC code. I show some approaches I tried when struggling to make ObjC code internal. Making it invisible to the framework users, but still accessible from the Swift code gave me a severe headache. Also, I share a solution that finally worked out in my case. There are a lot of articles and tutorials about Swift/ObjC interoperability, but they rarely focus on framework targets. It seems that even when you have everything in place, it is still close to impossible to effectively hide your Objective-C part from framework users (at least as long as you want to expose it to the Swift part). // as it should not be able to see MyPrivateClass !!! Seems easy, right? Well, it is actually harder than it looks. "Swift sees every header you expose publicly in your umbrella header. The contents of the Objective-C files in that framework are automatically available from any Swift file within that framework target, with no import statements." stackoverflow: How to import private framework headers in a Swift framework? Framework users still can access "private" members. It is a bit harder, since importing the main module does not reveal "private" members immediately. It also requires an additional import statement to access "private" members. You can emphasize that it is not safe nor intended to use it. However, you cannot hide it. In my case, the modulemaps were not enough. The research output wasn't promising. It seemed that there is no way to expose Objective-C headers privately, inside the same framework target only, without making them more or "less" public. So it is true so far. Me: "Ok, let's think again, what do you want to achieve?" Me2: "I want to expose Objective-C headers to Swift, but only inside the framework target, without exposing them to the framework users." Me: "Do you? Is that exactly what you need?" Me2: "Well, I have ObjC classes that are meant to be internal, but I want to use them from Swift code." Me: "OK. How would you actually 'use' this classes?" Me2: "Call some methods, access variables?" Me: "Do you need to 'know the class' to do that?" Me2: "Well, I only need to know that there is a method or a variable, so protocol should be fine." Me: "And if you invert the problem? Can you have an internal Swift member and use it from Objective-C."
Me2: "It seems that the answer is yes, with some restrictions of course." Me: "OK. Can you make then the private Objective-C member adopt an internal Swift protocol?" Me2: "Seems so... Does it mean I don't need to know about any Objective-C class, as I interact only with things adopting Swift protocols? Note: If you are unsure how should you fill this header, you can make Swift members public and build. That generates 'ModuleName-Swift.h' header in derived data. Inspecting it should give you some sense of how to do it. Then make it internal again. Now as we can see Swift protocol in Objective-C as MyPrivateClassProtocol, we can adopt it. That leaves us with one last final problem..
Me2: "OK, I theoretically can use it. But again, how do I get an instance of it if I don't know about a class adopting protocol?" Me: "Remember that factory pattern?" type = SomeClass.self                       // Move it to ObjC! Note: In Swift part, MyPrivateClass is a protocol, while in ObjC it is a class. It might seem ambiguous, but I wanted to keep same names on both sides. Factory above would be exposed to Objective-C in the same way as the MyPrivateClass Protocol definition (so internally). The one last thing that needs to be done is to register the Objective-C class to be used by the factory. We need to do it before we could use it. So it seems, that we can use Objective-C members in Swift without exposing ObjC code to Swift at all! All we need to do is to expose the Swift part to Objective-C, which we can do internally 😎. The whole approach requires some manual work and forces to redesign how you initialize your dependencies slightly. You need to generate protocols, manually bridge it to ObjC, and also maintain factory along the way. However, this is the only way so far have genuinely internal Objective-C implementation and use it in the Swift code. Note: In the example, I used the factory that allows you to register a type, and then I used init on that type. You can play with this approach a bit. If you don't like to add inits to protocols, you can try to use closure/block as a factory: static var createPrivateClass: (() -> MyPrivateClass)! Special thanks to Timothy Anderson, for allowing me to use his illustrations in this article. App Environment abstraction in iOS. In this article, I will propose an app environment abstraction. I will also show a small trick to improve your communication with testers, whenever multiple configurations come into the picture. And there is a nice bonus waiting at the end. When you build a target in your project, you usually use some scheme (noticed this little dropdown next to the run button?). If you inspect it a bit more, you'll find, that among all the other things it does, it also ties your target (or targets) with a Build configuration. I will call it configuration. When talking about a development setup including multiple backend and app environments, configurations become lifesavers and a good way to set up and build an app to meet multiple requirements. The problem arises when we start considering the main reason why we explicitly set the app environment. They are meant to be different! That means that Alpha version should be somewhat different to Beta, and for sure there are meaningful differences between Debug and Release. As long as it is about other API URL or some assets, it is fine. But when they differ in actual features provided, then it can backfire. // Should be Release, right? It could theoretically happen in many places in the code. Every adding/removing configuration requires to potentially revisit these places, rechecking the flow. With no help from the compiler, the code quickly becomes unmaintainable. Now there is only one place to maintain the conditional compilation. And it is so straightforward, that it makes it easier to keep it sane. "Hi Andrzej, client send us a screenshot, could you look at it? Best,"
Noticed this small label? Contains everything I need to determine the app version used. The third one is empty because it is Release, which usually means it's an AppStore version. It is less dynamic due to the longer release cycle, so it should be easier to track. It might seem kind of obvious, most of you have probably placed some version and build numbers already somewhere in the app. This setup is a bit different though since the label is placed in separate UIWindow, even above alert level. That means that it should be visible on the screenshots from every single place in the app. If you were as lazy as me, and you'll be writing this Environment enum for the N-th time this year, you'll consider at least reusing it. But it's a hard job, as the configurations are dynamic and varying between projects. That's why I decided to automate the process instead. Add "-t target name" if the target name is different than project filename. That will generate default version of Environment.generated.swift file containing Environment enum (it's configurable - if you want to check other available options use "-h" for help). P.S. If you have noticed that I've just slid over feature toggles topic, it's because they are a nice feature, deserving additional article. I'm working on it now, so stay tuned.